Are you ready for Easter? 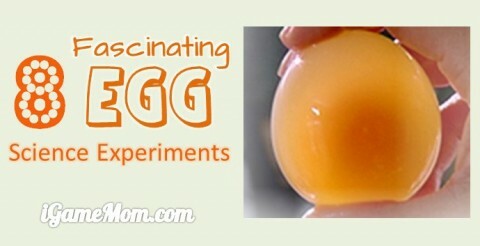 We have several posts that you can use for Easter science and math activity ideas, such as Egg themed science, egg themed math. Today we share free bunny themed Easter math printable worksheets with you. 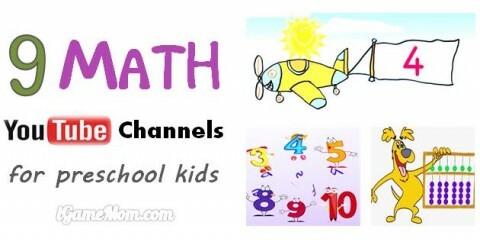 There are worksheets for counting, number maze, addition, coloring by number, skip counting, and more. Take a look and enjoy. 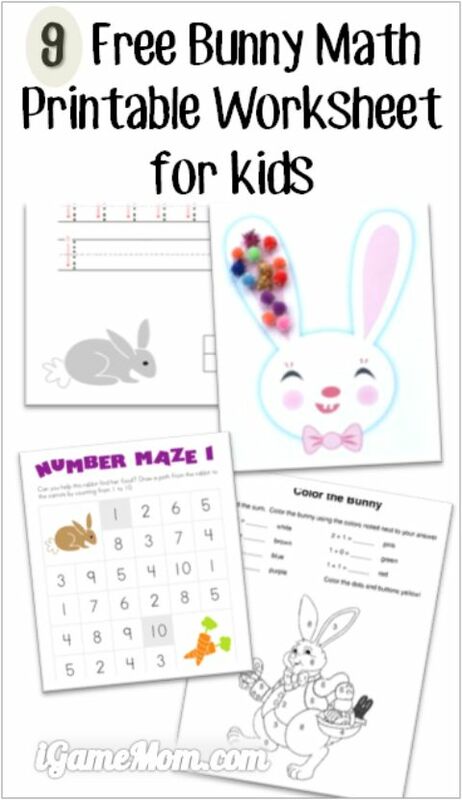 Trace and count bunny by 1 is a great way to introduce numbers and handwriting to kids. Although this is not a bunny printable, but bunny likes carrots. Trace and count carrots so bunny is not going to be hungry. 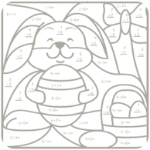 Bunny color by numbers is another fun number worksheet. 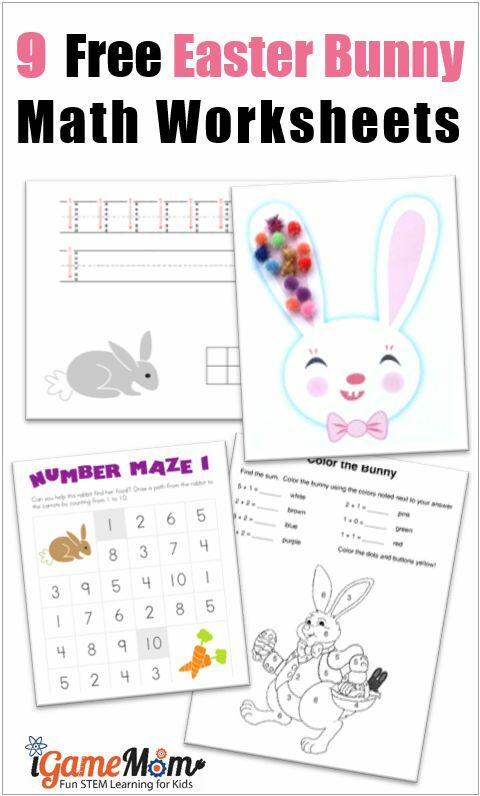 Here is another color by number bunny math worksheet for kids learning numbers 5 to 10. You can also find two other Easter themed color by number worksheets that help them learn numbers 1 to 10. Help Easter Bunny count eggs using this free Easter Counting worksheet with kids. Fun way to prepare kids for counting eggs in their own Easter Egg hunt. Following the bunny to go through Number Maze is another fun way to learn number orders. What a fun idea to practice skip counting with bunny ears! 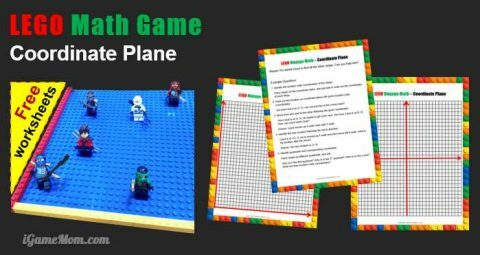 Help kids learn shapes with this feed the bunny game. Kids will have fun feeding bunny carrots of all different shapes. Easter Bunny Message not only teach kids numbers, but also letters and words.